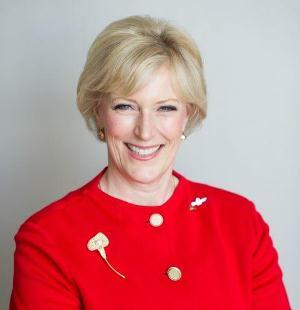 MINNEAPOLIS — Trudy Rautio, president and chief executive officer of Carlson, has been elected to the Cargill Board of Directors. "We are delighted that Trudy is joining Cargill’s board. Her strong financial background, depth of global business experience and leadership qualities make her a wonderful addition to the board," said Greg Page, Cargill’s executive chairman. Rautio, who was named president and CEO of Carlson in 2012, has been a senior executive with the company since 1997. Prior to her current role as president and CEO, Rautio served as executive vice president and chief financial and administrative officer of Carlson since 2005. Rautio serves on the board of directors of Carlson, the Travel and Tourism Advisory Board to the U.S. Department of Commerce, Securian Holding Company, Donaldson Company and the Bemidji State University Foundation. Rautio joins five other independent directors on Cargill's board: Richard H. Anderson, chief executive officer of Delta Air Lines, Inc.; Louis R. Chênevert, retired chairman and chief executive officer of United Technologies Corporation; Arthur D. Collins, Jr., retired chairman and chief executive officer of Medtronic, Inc.; Richard M. Kovacevich, chairman emeritus of Wells Fargo & Company; and Bernard Poussot, retired chairman, chief executive officer and president of Wyeth. Carlson is a privately held, global hospitality and travel company that includes Carlson Rezidor Hotel Group with its distinct hotel brands: Quorvus Collection, Radisson Blu®, Radisson®, Radisson Red, Park Plaza®, Park Inn® by Radisson, Country Inns & Suites By CarlsonSM, encompassing more than 1,340 properties in more than 150 countries and territories, and Carlson Wagonlit Travel, a global leader in business travel management.